These lessons demonstrate how a good understanding of mitosis, meiosis and fertilization and a basic understanding of the roles of DNA and proteins can provide the basis for understanding genetics. 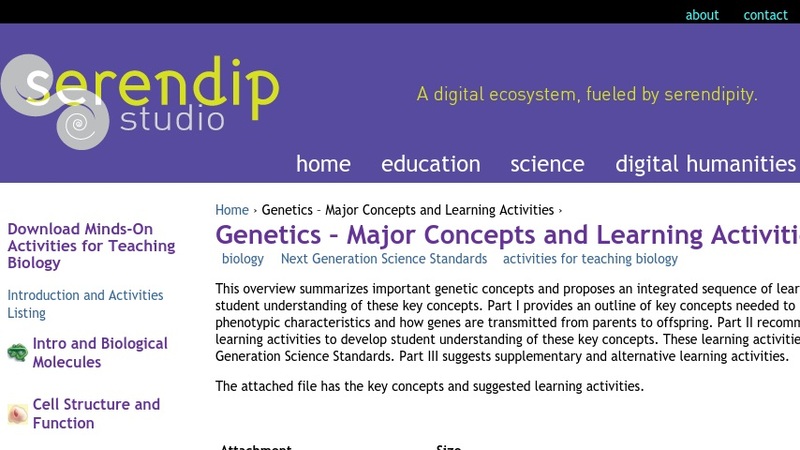 Important genetics concepts for students to learn are summarized and multiple learning activities are suggested to help students understand Punnett squares, pedigrees, dominant/recessive alleles, X-linked recessive alleles, incomplete dominance, co-dominance, test crosses, independent assortment, genetic linkage, polygenic inheritance, etc. This overview provides links to suggested activities which include hands-on simulation and laboratory activities, analysis of class data, review games and discussion activities and questions.